The average sale price for a house in the northeast Edmonton neighbourhood of Delwood is currently sitting at $328,086. That is a small drop from last year, at the end of 2015, Delwood had an average selling price of $329,076. 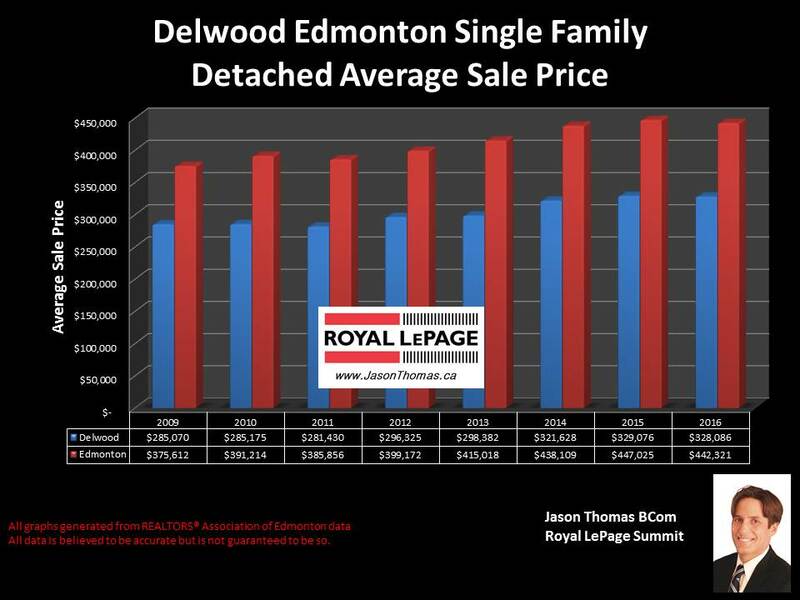 It is taking only 28 days on average to sell a home in Delwood this year, that is faster than the Edmonton average days on market of 49 days. The average sold price for a duplex in Delwood is currently $335,000 in 2016 and that includes only 1 sale. That duplex was a new infill unit that was built in 2015.